Unicorn & Hot Air Balloon Bibs. 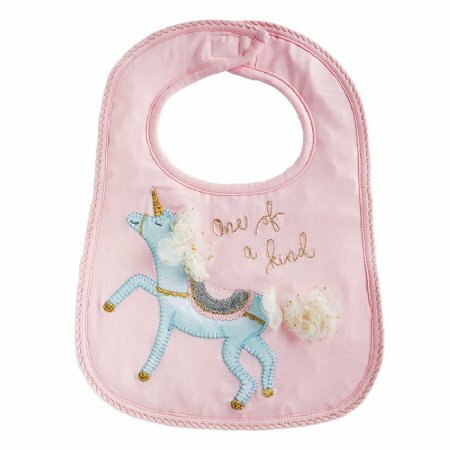 Cotton spandex bib features gold lurex, dot minky backing, hook and loop closure & jersey unicorn applique with gold lurex, metallic linen & mesh accents or jersey air balloon applique with metallic linen, cording, pom-pom & wood button accents. 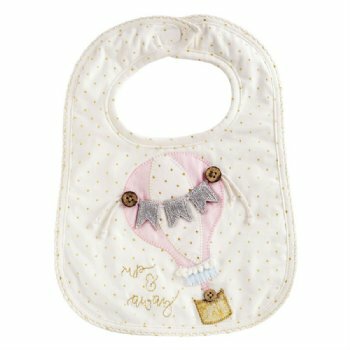 Size: 12" x 8 1/2"